"...The sprocket your bike would choose..."
High stock levels held within the UK for swift delivery. 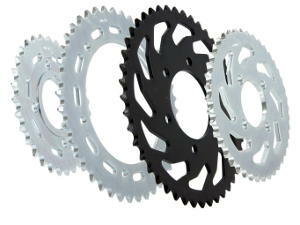 A tough, durable, long lasting sprocket. Formed of the best quality Japanese-sourced materials. Made with the latest sprocket manufacturing technology. 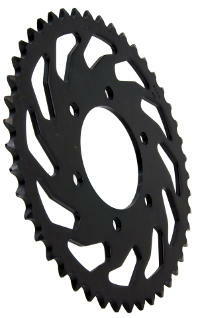 A longer lasting sprocket means a longer lasting chain. Japanese company Sunstar are the largest manufacturer of OE sprockets in the world and since 1946 have supplied their top quality steel sprockets to the likes of Honda, Kawasaki, Suzuki, Yamaha and Triumph and more. It's a combination of high-grade, high-carbon steel, and a heat treatment and quenching process unique to Sunstar, that makes Sunstar one of the strongest, most durable and longest lasting sprockets in the world. And a harder wearing sprocket means a longer lasting chain.